I love how the seasons change in Southern California. It’s gradual but unmistakable when the scent of autumn hits the air regardless of the reading on the thermometer (hint: It ain’t chilly). Changes like the oranges, reds, and yellows of seasonal produce hitting the market, tourists leaving our vacation destination town, and holiday advertisements infiltrating our media – okay maybe not that change, that’s just irritating. Like I said, it may be autumn, but you wouldn’t know it by our 80 degree days. Smoothies to the rescue! One of my all-time favorite childhood indulgences was the chocolate frosty from the popular fast food chain, Wendy’s! The texture was unique being almost like a mix between an icy smoothie and creamy milkshake. 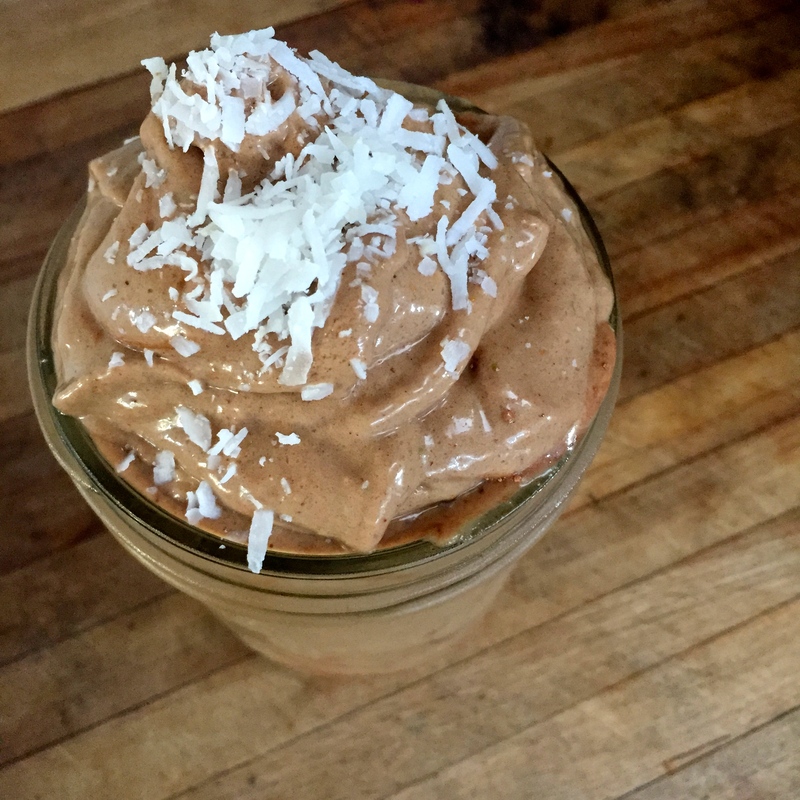 This smoothie is reminiscent of that Wendy’s Frosty while also imparting a healthy dose of quality fuel and nutrition for active and healthy bodies! This drink works great as a meal replacement due to the fat content of the almond butter and avocado. There is also a good amount of fiber from the figs for added satiety and gut health. Make it a post-workout meal by adding your favorite protein powder to feed your muscles! Blend all ingredients in a high-powered blender* until smooth. * if you don’t have a high-powered blender, use a regular blender and use as much almond milk as needed to blend thoroughly. If you want some other nutritious cold drink ideas!